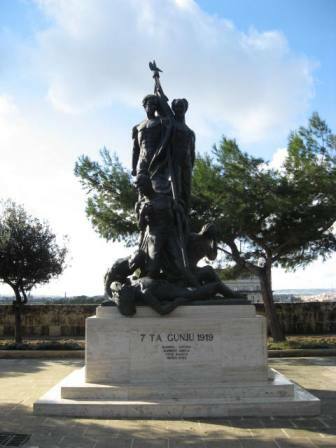 PARTIT KOMUNISTA MALTI: Sette Giugno Monument deserves more respect. Sette Giugno Monument deserves more respect. The Communist Party of Malta commemorates the Sette Giugno events and salutes the six martyrs who gave their lives at the start of the struggle for the liberation of Malta in the road towards full Independence. "The Party believes that the Sette Giugno monument should be given the respect it deserves. We appeal this monument should be re-located to the place where it was originally intended to be placed, in place of Queen Victoria Statue in Valletta. Which is a associated with British colonialism, and imperialism. We also suggest that the square should be renamed after this historical “Sette Giugno event". Solidarity with the Turkish People. Against the brutal repressions in Turkey.